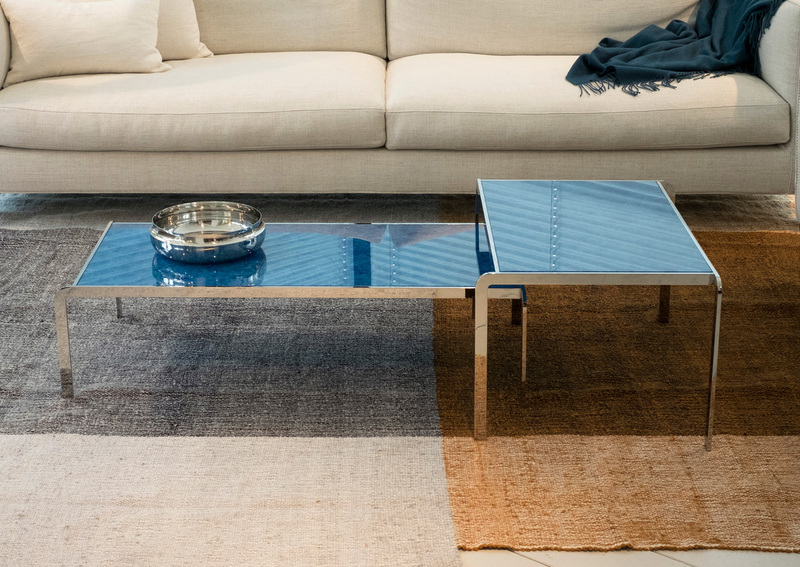 The Elbow Coffee Table series is characterised through its distinct graphical lines and light form language. The unique magna glass-ceramic plate, in combination with the minimal base structure, gives the table set its contemporary elegance. By that the design embraces a combination between the classic and the modern. Magna plates are fired and shaped in a complex process and the color “Ocean Blue” comes from the shards of the recycled water bottles. The table set offers numerous arrangement possibilities in the living room. The design embraces a combination between the classic and the modern. Magna glass ceramic combines sustainability with a unique visual appearance and great flexibility for material variations. Each plate passes through a complex production process in which many steps require manual work. Magna glass ceramics is not only an environmentally friendly material with sustainable certificates, but also follows an environmentally conscious production process in which a large part of the energy requirement is generated from own solar systems and the water used in the production process is also recycled and used several times. 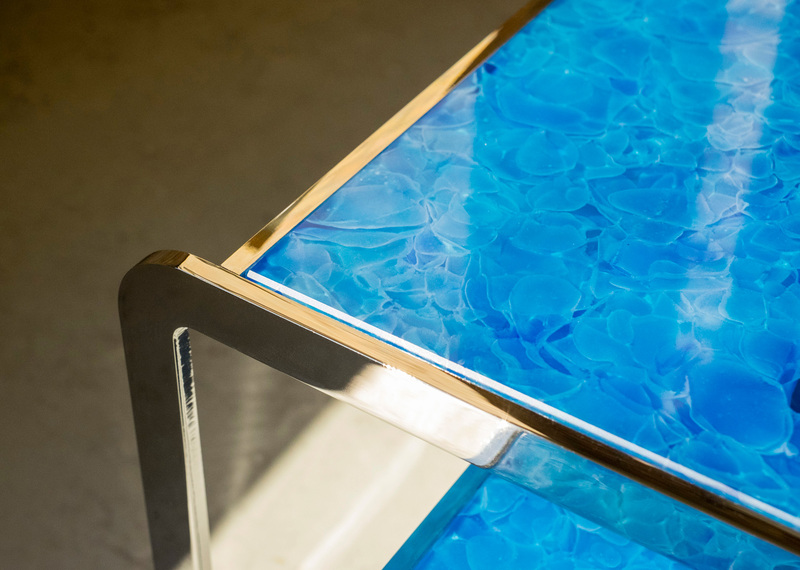 In addition, glass ceramic is a completely hygienic and stain-resistant material since no adhesives, epoxy resins or other chemicals are used during production. This makes glass ceramics easy to clean on the one hand and, on the other hand, has long-term color and surface resistance for interior.